We begin our crystal training with five essential crystals that everyone should have in their tool kit of energetic resources. Learn powerful information on how to use these 5 essential crystals on a daily basis to refresh and balance our energy field and chakras. Billie Topa Tate will provide great techniques to use these crystals on a daily schedule. Weather permitting - we will take our stones outside into mother nature to learn how to use our crystals with mother natures healing energies. Bring your own crystals or buy them at the MSI crystal store. All of our crystals have been infused with healing energy by Billie Topa Tate - Mescalero Apache and Founder of MSI. Please consider bringing the following crystals to our class. We will also have some of these crystals for sale at MSI for you to use in class. 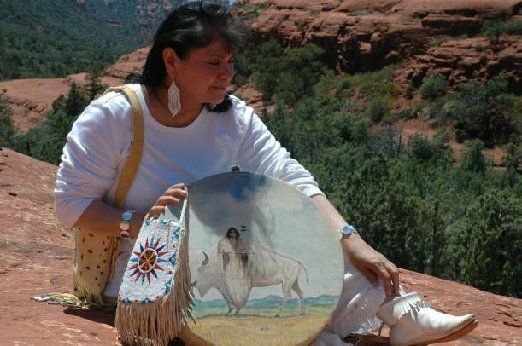 This class is guided by Billie Topa Tate, founder of The MSI Healing INC. Billie is a traditional Native American healer and teacher of Mescalero Apache descent, trained and educated by numerous family Elders and extended family members. She is a Reiki Master Teacher Eighth Degree and licensed Therapeutic Massage Therapist.